January 29, 2018 – NASA’s Global-scale Observations of the Limb and Disk (GOLD) mission powered on the GOLD instrument for the first time after launch on January 28, 5:23 p.m. MST. The systems engineers at the University of Colorado Boulder successfully established communication with the GOLD instrument and its detector doors opened when commanded. After their tests, the engineers powered off the instrument the same day, at 5:40 p.m. MST. The instrument will remain powered off until its host satellite, SES-14, reaches geostationary orbit and GOLD operations commence later this year. GOLD will investigate the dynamic intermingling of space and Earth’s uppermost atmosphere and seek to understand what drives change in this critical region. 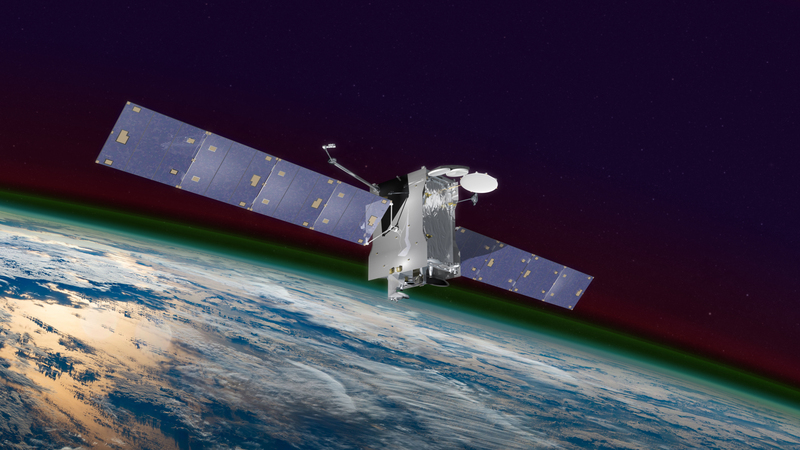 Resulting data will improve forecasting models of the space weather events that can impact life on Earth, as well as satellites and astronauts in space. The University of Colorado’s Laboratory for Atmospheric and Space Physics built the instrument, and provides management and systems engineering, as well as instrument operations for the GOLD mission.